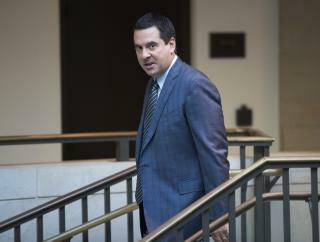 (Newser) – Republican Rep. Devin Nunes is tired of being insulted by Twitter accounts like Devin Nunes' Cow, which calls him a "lil' treasonous cowpoke," and the now-suspended Devin Nunes' Mom. In a $250 million lawsuit against the website and some of its users, including the "Cow" and "Mom" accounts, the California lawmaker accuses Twitter of ignoring complaints about defamatory material, the Verge reports. He accuses the website of censoring conservative viewpoints and "shadow-banning conservatives" by causing their names to not appear as auto-suggestions. Engadget reports that Nunes blames Twitter for making his 2018 re-election closer than it should have been. Nonsense. It's not possible to insult Devin Nunes. This must be fake news. Trump will set Nunes straight soon enough to not mess with Twitter.